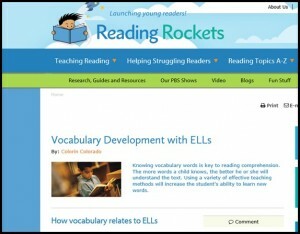 Pre- teaching vocabulary: some great suggestions and important for all students. 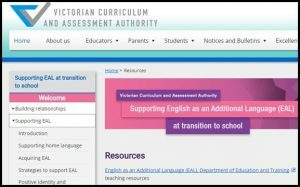 The Australian Curriculum site has a section on meeting individual learning needs of students who are learning English as an additional language or dialect. The annotated content descriptions in the resource section are especially useful for the subjects. 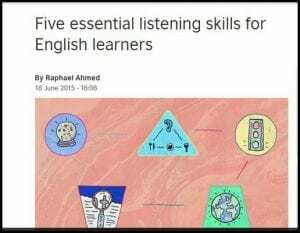 Content and Language Integrated Learning from British Council – Teaching English. This highlights the importance of teaching English in context – especially as it relates to academic language. 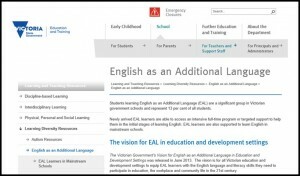 Early Years EAL – especially useful when considering support for First Language while at the same time supporting English Language Learning. Great range of activities especially for speaking – but also activities such as the one above. 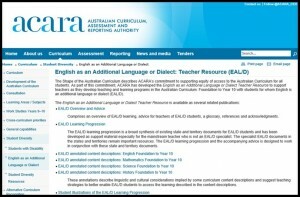 ACARA has a page with quick links to background support for EALD students. Simple seven steps to improving learning for ELL students. While US based – and having a focus on Spanish / English, this website has heaps of ideas and inspiration. This is a brilliant unit with a range of activities to build vocabulary as well as sentence use in EAL learners. The template makes it easy to adapt other units. http://www.toolsforeducators.com/ – free, printable worksheets and games. Not extensive but super easy! http://www.studenthandouts.com/graphicorganizers.htm free, printable graphic organisers. Using songs to teach grammar : Much more fun than a book – it does use some “golden oldies” though. My English Teacher also has a few. and the ESL site – lots of songs with grammar and other activities. There’s also a list of relevant songs on Youtube with ideas re grammar points to teach. WHY use songs! Drama in the ESL classroom: has a number of links with both practical and theoretical background. 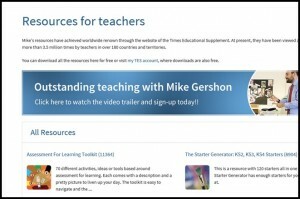 Mike Gershon’s page has a wealth of teaching and learning materials. Great ideas for making Assessment for Learning a focus. Using pictures in the ELT classroom: This has ideas for specific pictures, where to get images and some details about how to acknowledge the source of images used. 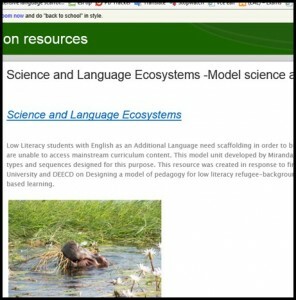 another source is eltpics a free photographic resource, allocated in Flickr, for teachers, created by teachers. All photographs are creative commons, so if you want to use them, all you need to do is credit the photographer. 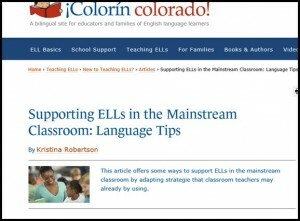 Larry Ferlazzo also has an article on Edutopia about using pictures in ELT learning. The Academic Word List AWL is a list of words which appear with high frequency in English-language academic texts. The list contains 570 words. These are divided into sub lists – with the most frequent in list 1. These words are those that cover many subject areas. The AWL does not include technical words which are specific to a given field. (eg psychology, immune system) Nor does it contain words which are of general use and very high frequency. (eg discover, everybody) The format of the list as published on the Form 7 page is to make it easier to copy and paste the words into http://www.howjsay.com for pronunciation practice. See Think Wonder: While I had always thought this best suited to discussion of visual elements especially photographs, I have recently used the routine for guiding video analysis and reading of news articles. The results have been much much better than asking students to do a summary. They are doing a lot more thinking! Grammar lessons: This site – http://www.azargrammar.com/index.html has a huge collection of resources at a number of levels. These have been produced by teachers – and everyone is encouraged to share new ideas. I especially like the game section. I can see me spending many hours creating more of these. Loescher English has some simple and easy to follow interviews many with subtitles. and …. http://the-pln-staff-lounge.blogspot.com/ has some great short video ideas as well as many other resources. The British Council Teaching English is on Facebook – a great way to keep up with the latest lesson ideas and to get some inspiration. There is also a huge list of ideas for speaking on another page on the main site. 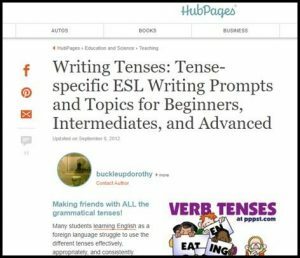 English with Jennifer – a blog full of useful and adaptable materials especially for teaching grammar. While it says primary, I used it with a Form 2 class and they really enjoyed it. Students can also follow up with a short piece of writing. 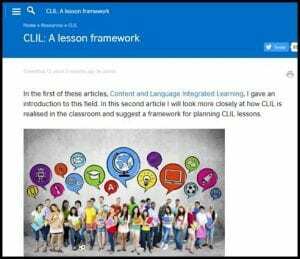 http://www.teflclips.com/ – a collection of short video clips together with lesson plans. GRAMMAR CARTOONS: A NET in Hong Kong recently posted a notice about using Grammar Rock in Form 1 & 2 classes. These are short and look like fun. They are a bit old and very American but I think they’d be a great model for students to do their own – at least as an introduction. They can be easily tracked down via a search on YouTube One example is here: VERBS http://www.youtube.com/watch?v=h4QEzJe6_ok– but do be careful as there are some “imitations” which are not suitable for children – or you can get a list of ones I have tracked down here: School house rock videos. WORD GENERATOR (Sept 17 2010) A simple device for generating list of words for use in phonics classes can be found here: http://www.firstschoolyears.com/literacy/wordlists/litlists.html. The lists generated would be sutable for some For 1 and two classes who need a little more help. This one: http://www.wordlistgenerator.net/Default.aspx is a little more complex but useful for getting words where the cluster is in the middle of the word. For those of you who have forgotten the rules (as I did), they can be found here: Go Fish Rules. My students have really enjoyed playing Go Fish using sets of cards I have produced from the Lanternfish Site. (eg the clothing flashcards). Thanks to Brenda for this. I am adding the bare bones directions here and will put in more after I play the game a few times. As with all good games – and adaptation to your own students as well as educational focus will be brilliant. Slightly different rules can also be found on the GenkiEnglish site. Time for the game depends on the size of the class, their co-operation and of course the number of questions used. Students work in groups of 4 or 5. You need to prepare 25 questions appropriate for your students. They can be anything….ie Name five countable nouns. Where were the winter Olympics held this year? Name the capital or Australia. You get the idea…. On the board write numbers 1-25. I usually put them in a square formation….5 across and 5 down. Take turns having each group choose a number. You have a copy of all questions with corresponding numbers along with a numerical value 100 to 5oo for each question. If the group answers correctly they are awarded the value of the question. Randomly choose about 9 questions and assign a T as it’s value. That means Typhoon and if they answer the question correctly the team gets zero points. Any points accumulated are also erased. If the question is not answered correctly, just go to the next group but leave the question available for another group to try. After the first round, I change the rules slightly to make it more exciting. If a group answers their question correctly, they must decide (before they know the question value) whether to keep the value or give it to another team. If they want to give it away, they need to agree who will get it. Do not tell them how many T’s are in the game. As we play and as each question value is revealed on the board, the students think they can see a pattern of where the T’s will show up. Sometimes they can get a bit excited! Recently, I have used two short activities that are useful for developing and enhancing student vocabulary. These can easily be adapted for any unit. Research over the last few years increasingly shows there is a link between oral fluency and vocabulary knowledge. From a short reading text, select a number of words for students to learn. Then find 2 – 3 synonyms for each word. Create small vocabulary cards using the synonyms. These are randomly distributed to students in the class. Give students some time to become familiar with their word/ words. Read the set text. Using powerpoint – or large cards with selected words from the text, show these words one at a time. As you show the word, ask the students who have a simile of that word to stand up. If no one stands up, then ask the person with the word “……” to stand. Discuss / review the meaning of each word. I have found this especially useful with F6 and F7 students but may be used at any level. From a selected vocabulary list, create pairs of cards – a word and the meaning. Check the number of students in the class and randomly distribute words and meanings. Students need to get out of their seat to find their “partner” – ie matching word and definition. This worked well in a class reviewing vocabulary we had learned the previous lesson. This can then be integrated into further activities. 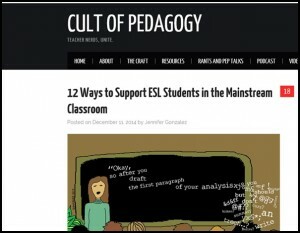 http://www.suite101.com/content/teaching-speaking-to-english-second-language-students-a261761 – Suite 101 has some useful short articles with teaching ideas as well as some of the thory behind them. http://www.eslflow.com/collocationsandphrasalvebs.html lesson ideas and work sheets related to collocations. http://www.everythingesl.net/lessons/valentine_hearts.php a great little Valetine’s day activity – but also lots more on the site. 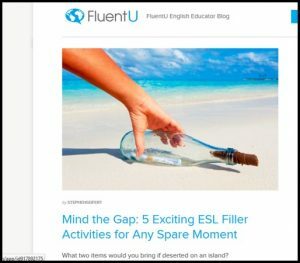 http://www.teflclips.com/?p=251 TEFL Clips – This great site has some short, easy to use Youtube clips with lesson plans to go with them. http://jeffreyhill.typepad.com/english/2010/01/index.html great Powerpoints, quizzes and interesting ideas for many classes. I especially love the links to Cartoons and video clips. 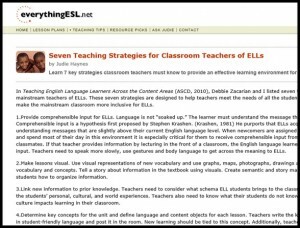 http://www.everythingesl.net/ While the focus is on ESL in the USA, there are loads of useful lesson plans for various themes as well as general support for best practice in English Language Learning. 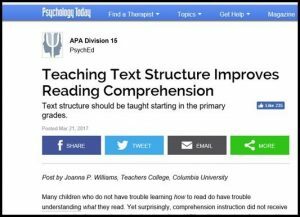 http://www2.scholastic.com/browse/article.jsp?id=4494 some interesting background and ideas for using phonics to teach English – even if it is about selling some resources. http://www.geocities.com/EnchantedForest/Dell/4678/indexpublish.html is an interesting site especially for young learners. It has a number of games and interactive activities including the STARFALL one with a focus on phonics. http://www.teachers.ash.org.au/jeather/writingfun/writingfun.html Writing fun – with a number of texts types and interactive activities for students. http://www.teachingenglish.org.uk/ . 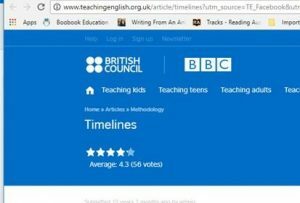 British Council for Teaching English :There is also a special section on teaching children – which would be useful for Primary groups. http://www.beyondmonet.ca/ch3_1.html The Artful science of Instructional Integration. This has some great advice on effective teaching. One quote that stood out for me as I explored PoLT Priciple one further was : “….The research also illustrates that high performing and low performing students have different understandings of what caring is for them. Although somewhat of an over generalization, higher performing students interpret caring as assistance related to cognitive issues; lower performing students to issues of the heart. Nonetheless, in each of those qualities, the teacher must do something (perhaps apply a skill, or tactic, or strategy) that communicates or causes something to be ‘fun’. ….” (http://www.beyondmonet.ca/ch3_4.html) . I’ll be back to read more when I have some time! The development of skill in a new language is something that takes place over a long period of time. It involves the application of a range of skills and understandings that are not easily measured in any single test. The current focus on language as a communicative tool and the emphasis on function and meaning, points to the need for assessment measures that give greater breadth than what may be achieved through a simple test. This argument has been around for some time now though often the way to effectively implement this is not all that obvious. While it can be difficult to find the right targeted test, the use of portfolios is a methodology that caters for all students. One of the problems with portfolios may be the difficulty in coming up with a single score – if that is the aim. What portfolios provide is a broader view of student achievement as well as a vital resource that students can use to improve even further as they fine tune and develop their writing based on the skills they have developed. In a portfolio task, students can have greater control over their assessment and may be more motivated to improve their responses over time – in the process, developing their skills. A key element of many portfolios will be self assessment and reflection. A portfolio allows students the chance to show they are responsible for their learning. In reflecting, students can identify those aspects they need to improve. In developing a portfolio of learning to share with parents and teachers, there is a great opportunity to practice speaking skills as well as reflect on the learning process. 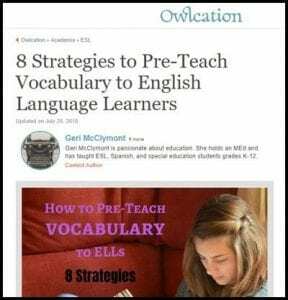 Authentic Assessment for English Language Learners: Practical Approaches for Teachers by J. Michael O’Malley and Lorraine Valdez Pierce (Paperback – Jun 1996). While it seems old, the ideas are still important today. It is available through Amazon. A humourous take on Education in America: Bill Maher, an American Comedian, talking about education in America.